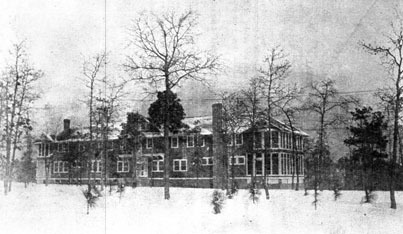 Samarcand Manor, officially the State Home and Industrial School for Girls, was a humane correctional institution for young women established near Eagle Springs by the North Carolina state legislature in 1918. The purpose of the school was to reclaim and train delinquent girls by providing a "homelike place where those who have fallen may find temporary shelter, and under a firm yet kind discipline, begin to live morally." The school, built on 230 acres in Samarcand (named for the Muslim city conquered by Alexander the Great that served as his empire's seat of learning and culture), was one of the first institutions of its type in the South. The original clients were young girls or women who had been convicted of being prostitutes, vagrants, or habitual drunkards or who were guilty of any misdemeanor suggesting that they were "not virtuous." There were no definite terms, but the clients could not be held more than three years and were to be released on good behavior. Agnes B. MacNaughton became Samarcand's first superintendent, and by 1919 more than 200 women between the ages of 10 and 30 had arrived. In the 1920s the daily program emphasized Bible study, manners, cleanliness, music, nature, and sports in addition to the regular academic subjects. The girls also received vocational training in sewing, weaving, canning, laundry work, and poultry and dairying activities. The program stressed self-reliance and pride in one's work. 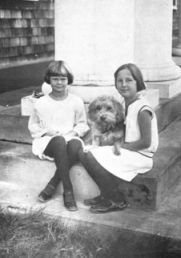 Between 1928 and 1930 a total of 296 girls were admitted, most between the ages of 12 and 16. By 1930 Samarcand had a hospital and an accredited high school. In 1931, 16 Samarcand inmates set fire to two dorms and were charged with arson, then a capital crime. While awaiting trial, the girls burned their jail cells. Eight of the 12 involved were eventually sent to prison. Samarcand survived this notorious 1931 incident and other difficulties but was unable to withstand the financial strains of the Great Depression and the siphoning off of staff during World War II. In 1974 the state changed the name of the institution to Samarcand Manor and placed it under the purview of the North Carolina Department of Human Resources, Youth Division. Samarcand became one of five state training schools designed to rehabilitate delinquent children (both male and female) between the ages of 10 and 17. The school shifted its emphasis to treatment and therapy. In the early 2000s Samarcand had approximately 190 clients (40 females and 150 males) and 210 staff members. Ida Briggs Henderson, "The Work at Samarcand," The State (4 Apr. 1936). Lisbeth Parrott, "Samarcand Opens Door of Hope to 1,000th Girl in Tenth Year," Raleigh News and Observer, 7 Oct. 1928. Samarcand Manor: 50th Anniversary, 1918-1968 (1968). State Home and Industrial School for Girls (Samarcand, N.C.). Biennial report of the Board of Directors and Superintendent of the State Home and Industrial School for Girls, Samarcand Manor, Samarcand, N.C. Samarcand, N.C. [N.C.]: The School. 1926-1938. http://digital.ncdcr.gov/cdm/ref/collection/p16062coll9/id/4894 (accessed May 24, 2013). McLaurin, Melton Alonza, and Russell, Anne. The Wayward Girls of Samarcand: A true story of the American South. Wilmington, N.C.: Bradley Creek Press. 2012. Samarcand Building, 1926. Image courtesy of State Archives of North Carolina, call #: N_98_9_187. "Playtime, children on the wagon." 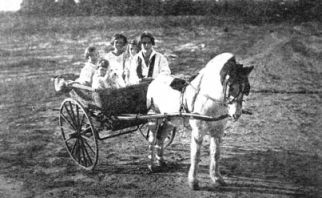 Image courtesy of State Archives of North Carolina, call #: N_98_9_188. "Our Three Youngest." Image courtesy of State Archives of North Carolina, call#: N_98_9_189. 1 January 2006 | Pleasants, Julian M.
I was there in 1978. Norton cottage. My name was Starr earls. Would love to hear from friends I made there. Gina pait, Elaine walters, Jerald Jordan ECT....we weren't mistreated at all. At times it was fun. Lol...except every Saturday was cleaning day. We had to scrub bathroom floor tiles with tooth brushes to get cracks clean. Can anyone tell me if there was a minimum commitment period? Most helpful if you have information from the 1950's. I'm forwarding your question to reference services at the NC Government & Heritage Library. I will look for any and all comments by email. I am so glad I found this. I was there in the early 70s. Mr Fred King and his wife were the directors. When they first took over there were steel grates over all of the windows, prior to them taking the position as on premises directors I had runaway 3 times, when they caught you, you were put in solitaire. When they came they took the grates off the windows, you earned privileges, like getting to smoke, or go to the recreation center. Mr. and Mrs. King saved my life! I was blessed to be able to find them and tell them that. I am looking for a girl that was there with me, her name was Theresa Elliott, she was from Fayetteville,her parents were from England. Theresa if you read this, I have thought about you so often over the years. You hold a special place in my heart. I hope the universe has been good to you all these years and please contact me. I would love to have some pictures of Samarcand when I was there. I was there from 66-69. I remember a Judy Perry, from Raleigh, NC, A girl named Connie, whom was so pretty with short blonde hair. A Lewtisha Sumner or Sumter. I would love to heard from her. I remember we could go to the office and get a drink and a candy bar once a month when our caseworker came.I remember having to hold hands to walk to watch a movie. I think they were working on the pool before I left. I remember a girl named Rose. She was young. I remember 2 sisters one named Mary and I think her sister's name was Brenda. Anyone remember me please get in touch. A Kathy Wallace and a girl named Gail who helped me with my geography lessons. One thing I just couldn't get the hang of. I was short and had short brown hair. A Sandy Elliott. I know I spelled these names wrong, but at 67 I am lucky I can spell mine. lol I had so much wanted to go back and visit the place after I left but never got the time. i was their in 66 67 i from concord nc i know a few girls nancy powell debbie spegal kay everhart diane i rember my teacher i was in the choir i dont rember the teacher but she picked on me i had a lot of bad menories and i rember mis pankie the dietesion cant spell i would love to get picture of the choir singing at the lions club of campus.i was glad to see some one on here.please email me back .